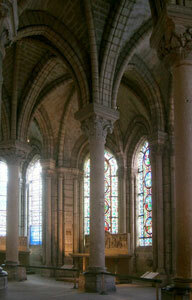 Perhaps no other period of architecture is more recognizable to the layman than is the Gothic. 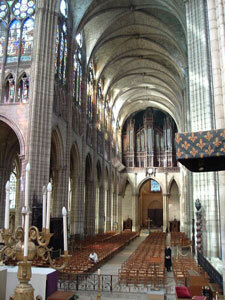 With its soaring interiors, flying buttresses, and stained glass windows. It has come to embody the epitome of religious architecture. 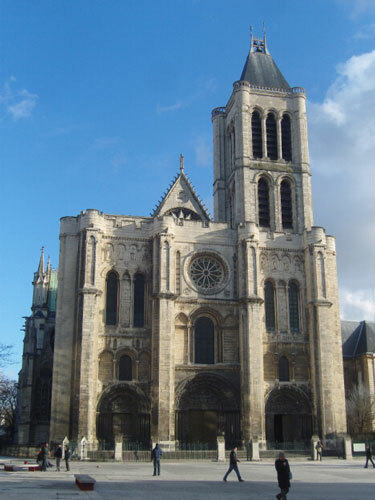 The Gothic began in the IIe-de-France region of northern France in the twelfth century and the rest of Western Europe anywhere from a generation to a century later. It transformed Romanesque architecture and reigned supreme in Western Europe until the start of the Renaissance in the fifteenth and sixteenth centuries. The two driving forces that propelled the movement forward were a reverence for the mysticism of light as a manifestation of God and the structural development of the pointed arch and ribbed vault. “Thus, when out of my delight in the beauty of the house of God – the loneliness of the many-colored gems has called me away from external cares, and worthy meditation has induced me to reflect, transferring that which is immaterial, on the diversity of the sacred virtues: then it seems to me that I see myself dwelling, as it were, in some strange region of the universe which neither exists entirely in the purity of heaven; and that, by the grace of God, I can be transported from this inferior to that higher world in an analogous manner”. The desire for a lighter–scaled architecture filled with light suddenly replaced the desire for the existing heavy, massive, and cloistered Romanesque architecture. Corresponding with this desire for a more light-filled interior there were a number of structural innovations that made it possible. There is evidence that Norman masons had been experimenting with the development of the ribbed vault in a number of smaller churches. The master mason for St. Denis is unknown, but it is likely that he was familiar with the innovations and chose to use them for the first time in a large scale at the Abbey. With the ribbed vault roof loads no longer have to be supported by heavy continuous exterior walls. The structural loads are collected and then concentrated onto columns, collonettes, or compound piers. This frees the exterior walls from carrying additional loads. Four thousand years of post-and-lintel construction and at least a thousand years of massive vault design had suddenly become obsolete. All because of the desire to admit as much light as possible into the interior. 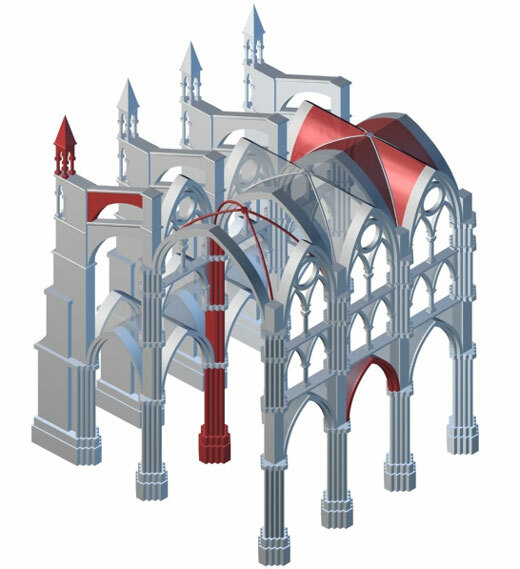 The necessary use of buttresses and spires to brace the ribbed vaults were moved to the exterior in order to minimize their visual impact on the interiors and detract from the visual presence of the windows. The visual effects of the newly renovated St.-Denis were profound and eventually fueled a competition between cities, church officials, architects, sculptors, and painters to create the tallest, grandest and most light-filled church interiors well into the sixteenth century.